HURRY! Get The TVC Imperial Combat Assault Tank On Amazon For Under $50! 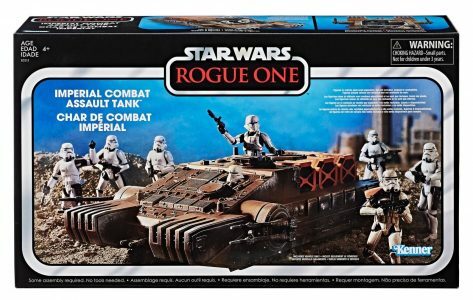 Amazon’s deal of the day features the TVC Imperial Combat Assault Tank for $48.50 with FREE same day shipping if you have Prime! Click here to take advantage of this deal! Next Article: Found! Walmart Exclusive TVC Stormtrooper (Mimban) (VC123) Arrives!